Desktop and Web application needs icons. Icons make the app more usable than an all-text application. 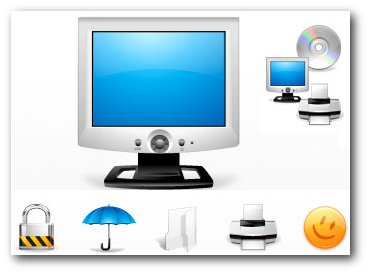 If you are building a desktop application, your framework may provide some stock icons. But if you are making a web application, you will need external icons. But when I want some icons I have a better place to look. 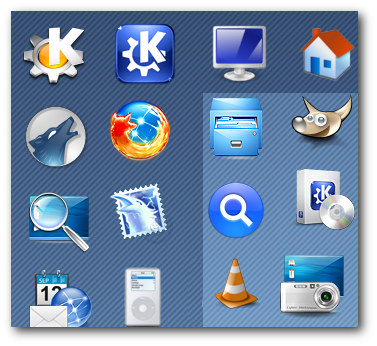 KDE and Gnome Icon themes. Most themes provide the same icon in various sizes. The available sizes are 128×128, 64×64, 48×48, 32×32, 24×24, 22×22, 16×16 and sometimes even a scalable SVG set. Not all themes have all the sizes – but most have. I don’t have to tell you how useful this is. KDE Look Icons page have 86 pages with 15 icon themes per page. That makes a total of 1290 icon sets. And I am not counting the Gnome Look Icons. That’s a lot of choice. Granted, not all will be good. Not all will have the icon I am searching for. Not all have the size I way want. There will be some duplication. But its still a lot. 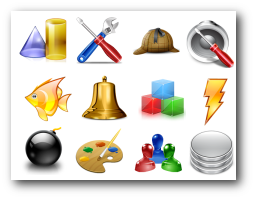 Most of these icons uses GPL and LGPL licenses. So you can use if for your application without paying for them. You can modify them. You can share it with others. You can… you get the idea. The point is there are no restrictions. Even if you are building a proprietary application, I think you can use the icons because you are not compiling it into the application. But I am not sure about that – if anyone reading this knows, please leave a comment. I have to warn you that not all icons sets use these licenses – so make sure you look at the license of an icon set before using it. Most of the icons are created by professional designers. Sure there are some duds among the collection – but the majority of them are good. Link for black & white icons is not the good one, it’s Crystal Diamond instead. Thank for pointing that out. Its corrected now. Sorry, use some pro icons like famfamfam. Those are ugly and the problem with linux: ugly by default! Thank you for compiling and availing such a comprehensive icon resource guide. There is also icon search engine at http://www.veryicon.com, it has the most powerful search function and the largest icon database that contents 20000+ icons. The best icon search engine I ever used is http://www.iconseeker.com, it contents 10000+ high quality free icons. Good icons, some of them are really beautiful. My favorite is Crystal Clear. Excellent icons!! 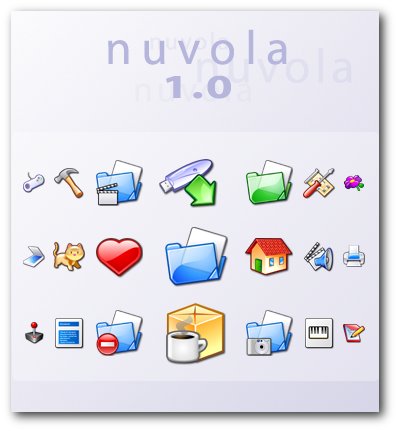 Nuvola is my favorite!